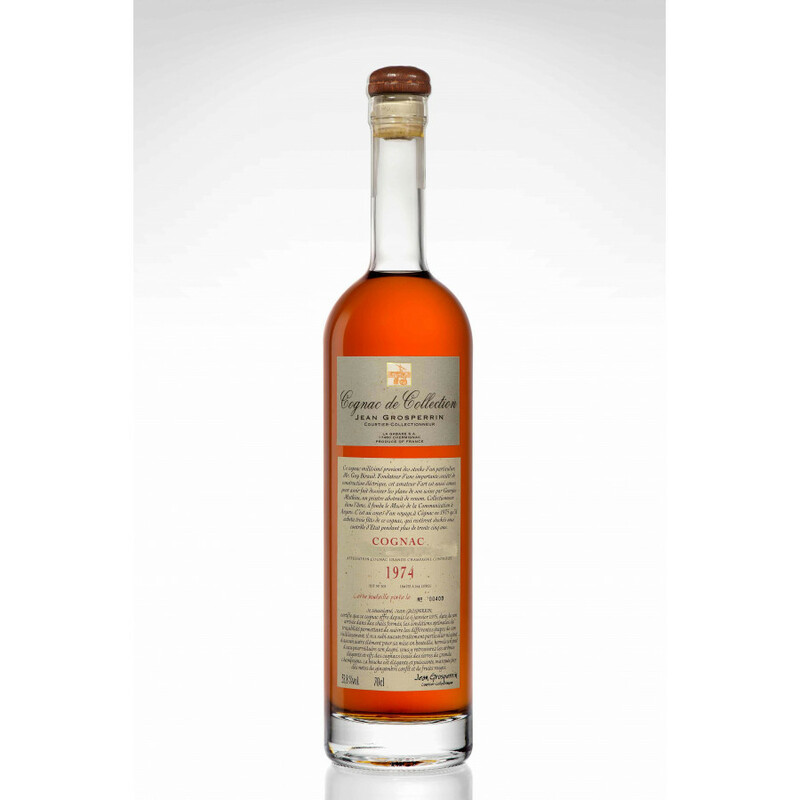 The Grosperrin Millesime 1974 Petite Champagne Cognac is one that offers an amazing oppurtunity to own and taste a Cognac that's well over 40 years old. From the vintage year of 1974, this Petite Champagne Cognac has been allowed to naturally age and has ended up a powerful 46.8° - yet is balanced and well-rounded. This is a Cognac that can be enjoyed in many different ways. Of course, the traditional way of drinking - neat, and allowed to slightly warm in the hand, is essentially satisfying. But for the more adventurous, try dropping in a few blocks of ice to subtly change the taste experience. A great addition to any Cognac collection, or would make a well-received gift for the Cognac connoiseur.